Join one of our gardeners to enjoy a wonderful opportunity to view the private gardens surrounding Holkham Hall, which are normally closed to the public. See the spectacular arboretum with its many unusual and rare specimen trees resplendent at the height of summer. Learn about the valuable work of the Gardens Department at Holkham and how they maintain the intricate patterns of the formal parterres on the terraces, designed by leading landscape gardener W.A Nesfield in the 19th century. Take in the idyllic atmosphere of the shell garden with its tree ferns and newly renovated shell house, the internal walls of which are beautifully decorated with an array of different shell patterns. Booking is essential as these tours are popular. Each tour will last approximately one hour. We are sorry, but dogs are not permitted on the tours. We suggest you wear suitable footwear for walking in parkland and come prepared for all weathers. Tickets: Adult £10, Child (2-16 years incl.) £5. Pre-booking is advisable as these tours are popular. 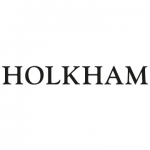 To book telephone Holkham Ticket Office on 01328 713111 or click on the button below to book online.